Products-> 3CX IP Phone System! Evolve your communications with 3CX Phone System for Windows - an IP Phone System that completely replaces your proprietary PBX, supports standard SIP soft / hard phones, VoIP services and traditional PSTN phone lines. 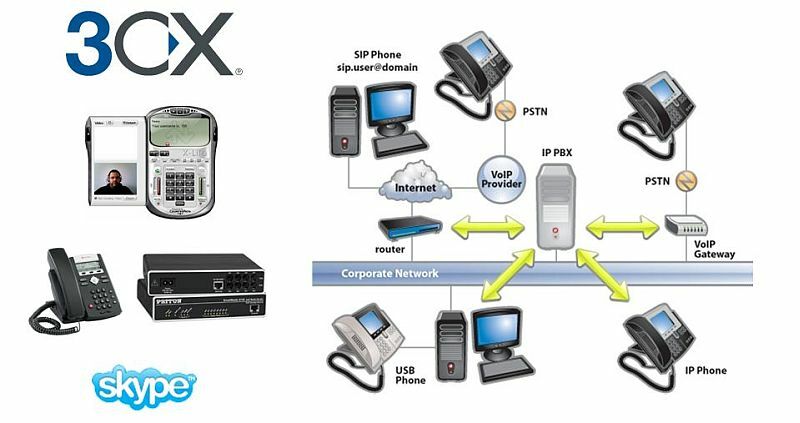 3CX Phone System is less expensive than a traditional PBX when you start adding voice recording, unified messaging, voip, etc and can reduce call costs substantially by using a VoIP service provider or GSM routers. Its web-based administration makes the phone system management user friendly and simple.